A Top Secret Soviet lab located just outside a small town in Latvia. 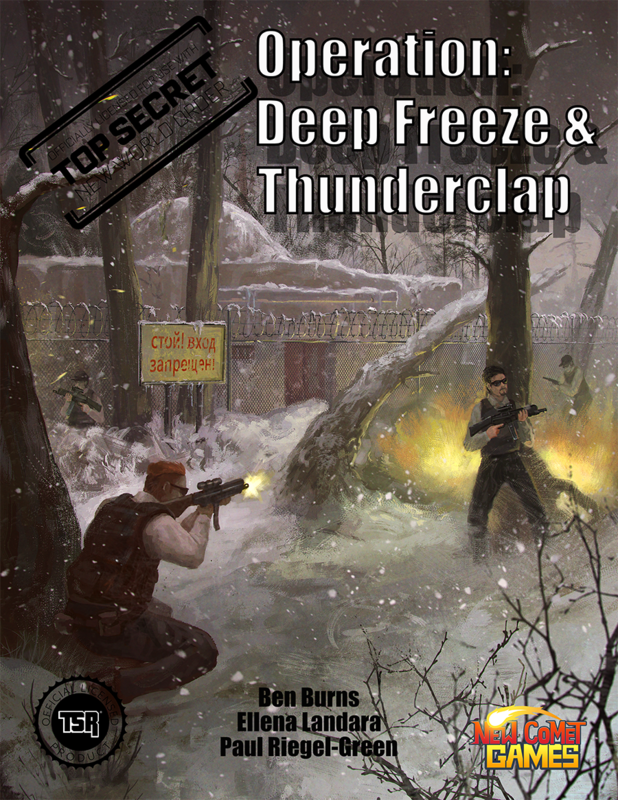 Secrets put in Deep Freeze. Secrets that leaked out in the dead of winter. Secrets of things that should never have been. Operation Deep Freeze is a Top Secret: New World Order mission. This 80 page book is a double adventure that includes both Operation: Deep Freeze and Operation: Thunderclap. This adventure takes a set of ICON agents from London to Latvia, to the Baltic, Middle East and Africa. Jump into this world-wind is this easy to use mission for the spies in all of us. Yep, there is an affiliate link above. Keep the lights on and the beer cold at The Tavern by using our affiliate links.